ATHENS – Well-known composer and conductor Theodore Antoniou passed away on December 26th after a long struggle with Alzheimer’s disease. He was 84. Born in Athens in 1935, Antoniou studied violin, voice, and composition at the National Conservatory and the Greek Conservatory of Athens and continued his studies of composition and conducting at the Munich Academy of Music and at the Darmstadt International Musical Center. He taught at Stanford University, the University of Utah, and the Philadelphia Musical Academy and was a professor among the composition staff at Boston University, where he taught since 1978. He also led and conducted the new music ensemble Alea III at Boston University. The ensemble regularly performs new compositions, works with numerous renowned artists, and has toured Europe on numerous occasions. As a conductor, Antoniou worked with orchestras, ensembles, and musical organizations all over the world, including the Boston Symphony Orchestra Chamber Players, the Radio Orchestras of Berlin and Paris, the Bavarian Radio Orchestra, the Zurich Tonhalle Orchestra, the National Opera Orchestra of Greece, the State Orchestra of Athens, and the Berkshire Music Center Orchestra. From 1974 to 1985, Antoniou was co-director of all contemporary music activities at the Tanglewood Music Center. Since 1989 he was the president of the Union of Greek Composers. Founder of the Experimental Stage at the National Opera, Antoniou was artistic director from 2004 to 2011. He composed over 450 works, many of which were commissioned by major orchestras and foundations, and include Periander (1977-79), Bacchae (1991-92), and Oedipus on Kolonna (1997) commissioned by the SWF Symphony Orchestra Baden Baden, Music Award 1998 of the Union of Greek Theatrical and Music Critics, choreographic works, cantatas, chamber music works, works for soloists, symphonic works, and concerts. He has written about 150 works for theater and cinema, of which 60 are music for ancient tragedies. 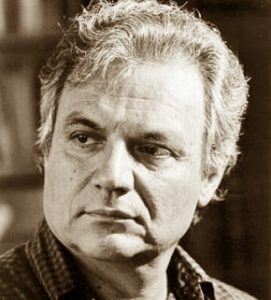 Among his awards and honors, he received the Richard Strauss award from the City of Munich (1964), the Karolos Koun Award (1988) for his contribution to the field of theatrical music, the Metcalf Teaching Prize at the University of Boston (1991) and the Athens Academy Award for his lifetime contribution to music (1997). Antoniou was Honorary Doctor of the Department of Music Studies of the Ionian University (2003) and Commander of the Order of Honor and Honorary Doctor of the Department of Music Studies of the National and Kapodistrian University of Athens (2009). He also received the Honorable Greek Culture Award from Harvard University (2011) and the Apollo Prize from ELS and EFLS (2013). In October 2008, he was appointed Professor of Emeritus at the University of Boston. He was a member of the Academy of Athens since 2014. His son, William Antoniou, a gifted composer in his own right, released the following statement on Facebook, “Family, friends and loved ones – my father, Theodore Antoniou, passed away this morning quietly and painlessly after his long struggle with Alzheimer’s disease.